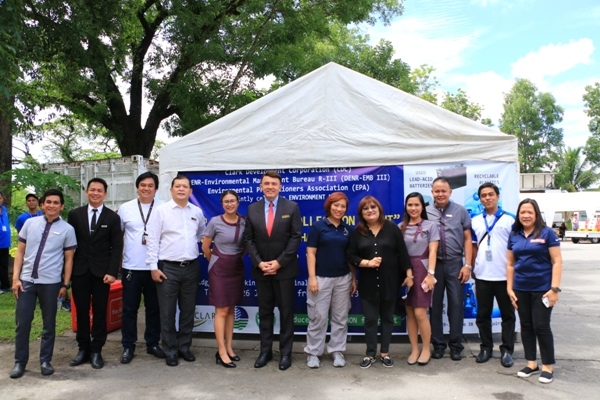 Coinciding with the Philippine Environment Month, Bantay Kalikasan again participated in the recent 19th recyclables collection event of Clark Development Corporation (CDC) and the Environmental Practitioners Association (EPA). It is the aim of CDC-EPA that all household and industrial wastes be disposed properly. Electronic wastes, used oil, used lead acid batteries, busted light bulbs, and the like must be disposed with proper management through DENR’s registered hazardous wastes recyclers. 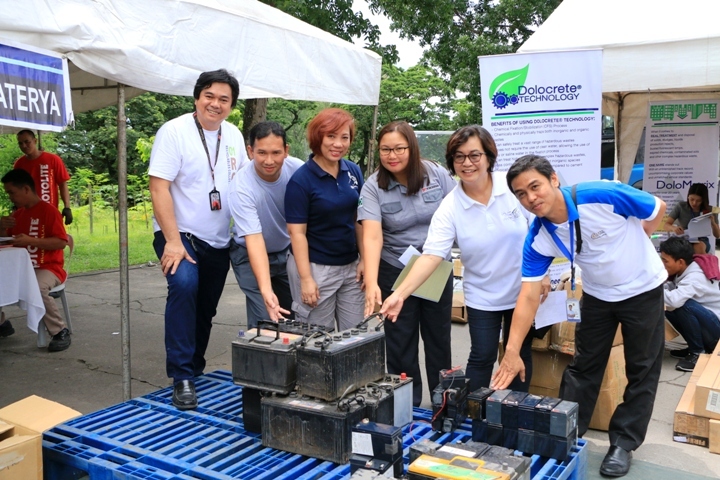 “Kanina may nakita ako, sabi ko i-donate nalang natin sa Bantay Baterya.”( I saw used lead-acid batteries in the office and I told my colleagues that I will donate these to Bantay Baterya), said Ryann Paras, Pollution Control Officer, SMK Philippines. Ryann is aware that every year, ABS-CBN Lingkod Kapamilya’s Bantay Baterya Project participates in recycling events in Clark. 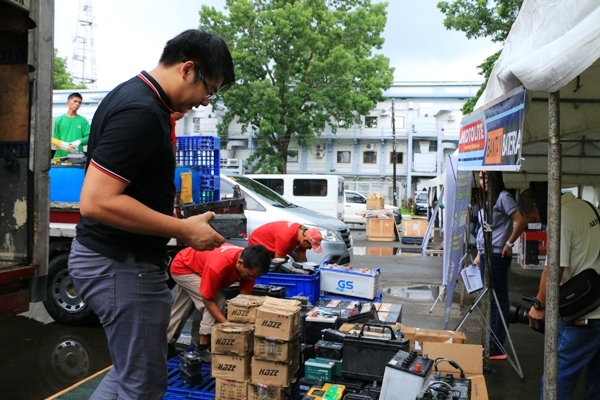 So when he sees spare and used lead-acid batteries at work, he personally donates it to Bantay Baterya. Be it one or two pieces of batteries, for him it should be properly disposed. 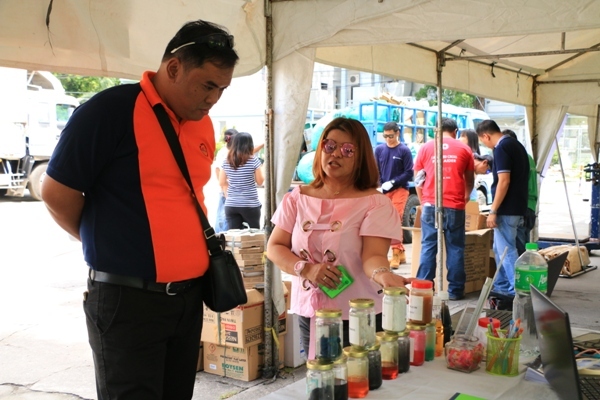 This year, Bantay Langis’ partner in recycling used oil Genetron International Marketing also participated for the first time. 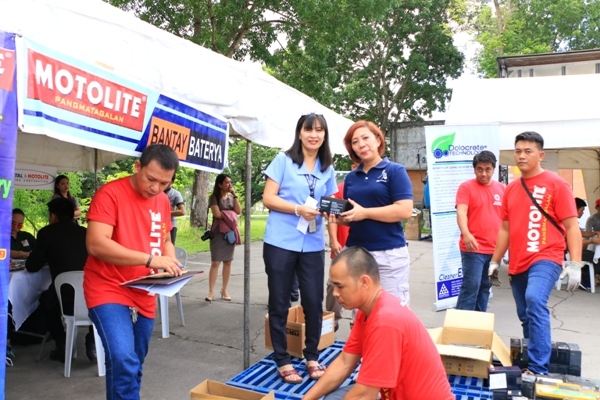 Oriental & Motolite Marketing Corporation likewise participated as Bantay Baterya’s partner in recycling. “Kapag ang mga langis na gamit na o used oil na tinatawag ay improperly disposed, magdudulot ito ng masamang epekto sa kapaligiran,” said Engineer Jocelyn Panen, Technical Sales Director of Genetron International Marketing. Around 70 to 80 individuals and locators (companies, industries and hotels) participated in the collection of recyclables. 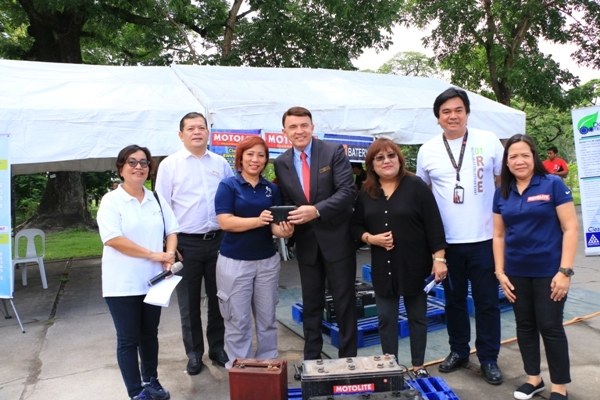 The monetary value for the donated used oil and used lead-acid batteries will benefit the environmental initiatives of Bantay Kalikasan as it celebrates its 20th anniversary this year. Kung kaya namin dito sa Region 3, kaya rin ninyo.”, (If we can do it here in region 3, you can do it, too. ), Engr. Roie Magat added.